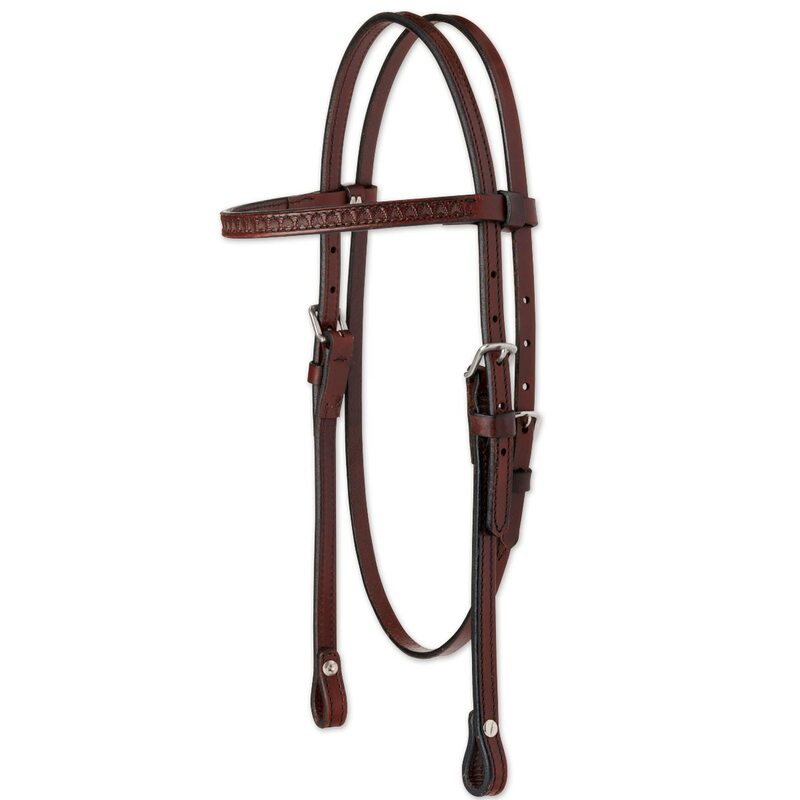 This browband headstall is made from the highest quality leather. Made specifically to match the Circle Y Topeka Flex-Lite Shell Border Saddle. Pony browband headstall is constructed from light oiled leather highlighted with Aztec diamond-style embroidery with brown, red and turquoise thread. Made from genuine cowhide for quality you can trust and features non-rust stainless steel hardware.